Lawyer Jose Luis Gonzalez Meza who has worked on behalf of Joaquin "El Chapo" Guzman is trying a novel legal tactic. 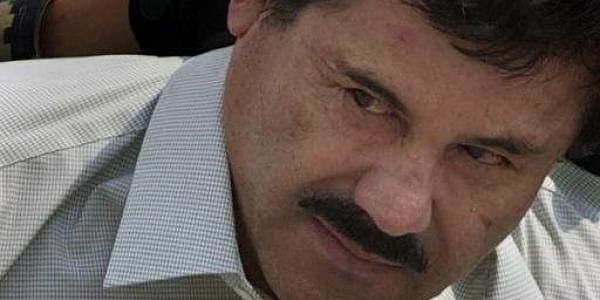 MEXICO CITY: A lawyer who has worked on behalf of Joaquin "El Chapo" Guzman is trying a novel legal tactic: He is calling on U.S. President Donald Trump to deport the Mexican drug lord back home from his jail cell in the United States. Lawyer Jose Luis Gonzalez Meza held up a banner outside the Mexican Attorney General's Office in the capital Wednesday that read: "Mr. Trump, Deport the illegal and criminal Chapo Guzman." Trump has pledged to deport migrants who have committed illegal acts. Gonzalez Meza said Mexican prosecutors violated due process when they extradited Guzman in January. "That means he is in the United States illegally," the lawyer said. "We are going to ask he be returned, because he is illegal and criminal!" Guzman faces U.S. drug trafficking, money laundering and other charges. He has pleaded not guilty.